LaToscana's Shower products have a clean and fresh design that complements any bathroom decor. 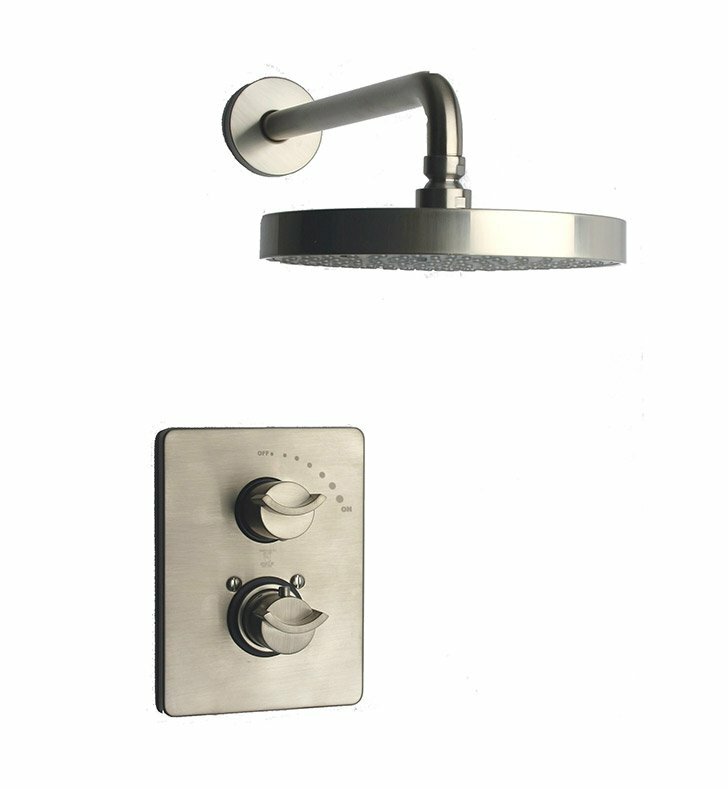 Thermostatic shower valve with diverter and volume control. H 7 8/10" x W 5 9/10". 8" shower head with 12" arm.